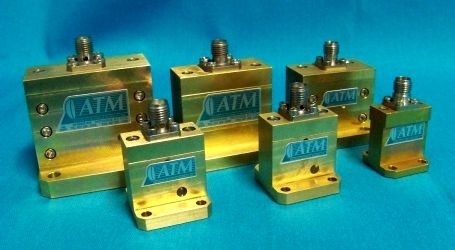 ATM manufactures Precision Endlaunch Waveguide to Coaxial Adapters covering the entire range of frequencies for Rectangular Waveguides. Multiple flange types and coaxial connector configurations are available. Our standard models for Waveguide to Coax Endlaunch Adapters are available here.